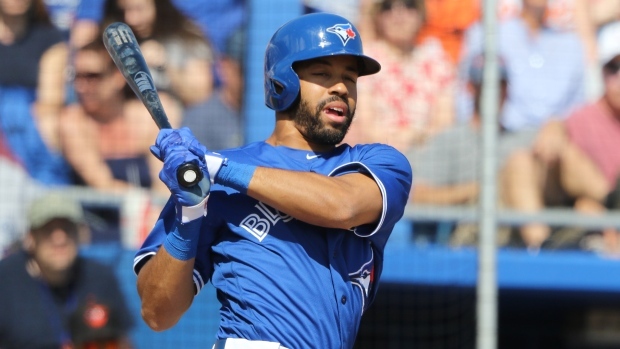 Toronto Blue Jays general manager Ross Atkins told reporters Friday that Dalton Pompey's concussion could be cause for concern. "My heart breaks for him, man. The guy has had just an incredible string of bad luck. Any time that someone has a third concussion it's never a good thing. In terms of severity, it's not necessarily mild, so it's something we need to be concerned and very thoughtful about," Atkins said. "He was standing up in his locker, and the bats are stuck in where the hangers are, and the bats were leveraged in a way that when he hit his head, there was enough force that he was concussed," Atkins said of the injury. Pompey, who has a history of concussions, was scratched from Thursday's lineup after he bumped his head on some bats that were located on top of his locker. Pompey also dealt with a knee injury earlier this spring after fouling a ball off his leg in the first inning of a game against the Pittsburgh Pirates last week. Due to a variety of injuries, he has appeared in just 13 big league games since 2015. In 145 MLB at-bats, he is a career .221/.289/.372 hitter.